"The entire team is friendly and helpful, and the atmosphere is equal parts professional, laid back, and hip." The UK Hair team is a highly talented, and diverse group of individual stylists. Book an appointment today with our team! We take pride in offering exceptional hair services, nail treatments, eyebrow threading, and everything in-between. For monthly promotions, please refer to our Specials page. UK Hair is proud to support Wigs For Kids and Strides for Life. Click here for more information. "Fantastic, impeccable haircuts. Authentic as it gets, British styles available." Paul Mitchell&apos;s exclusive KeraReflect™ blend features natural Abyssinian oil for brilliant shine, awapuhi extract for optimal moisture, strengthening keratin protein and thermal protectors. This highly effective blend transforms frizzy, lackluster locks into soft strands with a MirrorSmooth™ finish. This reparative line is 100% sulfate-free. Offers gentle hydration and color protection, and Keratin protein helps rebuild and repair dry, brittle strands, while being gentle enough to use daily. Exclusive KeraTriplex® replenishes every strand for healthy looking hair. Awapuhi balances moisture for manageability and shine. A weekly deep conditioner that rebuilds and repairs to transform lackluster hair and instantly improves texture with noticeable results. 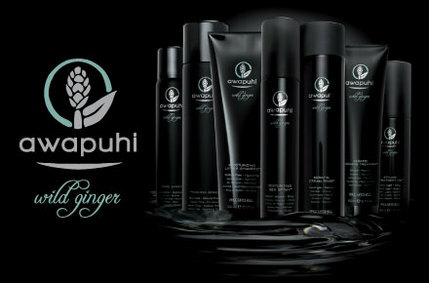 A hydrating styling oil infused with Awapuhi extract for smooth, silky and tame hair. Award-winner of Allure&apos;s Best of Beauty campaign. I had a great experience at UK Hair Full Service Salon from the moment I called to make my appointment to the moment I left my hair appointment. The salon is decorated adorably and all of the staff is very friendly and helpful.